DMT is a chemical found in the body that is also used recreationally as a hallucinogenic among people. It has been the subject of scientific research on why this particular chemical exists in the body. Scientifically, DMT affects the consciousness through the transmission of chemicals in the brain. It is theorized that it is stored in the pineal gland in the brain. DMT has also been associated with spirituality, mysticism and the experience of death. If a chemical like this was produced by the addition and evolution of the human race then it has a purpose. The pineal gland has also been called the “third eye” and is associated with the consciousness achieving a higher level of divine functioning. In ancient cultures there was a lot of reference made to the pineal gland or the third eye as a way of opening up a doorway into the consciousness to access universal energy in a more powerful way. The brain has the highest concentration of energy in the body associated with consciousness and energy. Earth and human beings evolved out of Universal Consciousness and energy for a very powerful purpose that I cover in a lot of my work in evolutionary cosmology. Because consciousness and energy evolves out of a more powerful form of consciousness and energy there is a particular place in the body that has the highest concentration of the evolutionary development of consciousness. 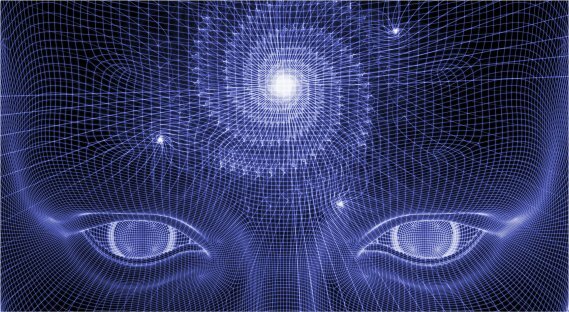 This is like a powerful reference point that exists within the body and the brain being the most powerful concentration of consciousness and energy; the pineal gland is probably an extremely powerful reference point of the evolutionary development of consciousness that is attached to a very powerful level of Universal Consciousness. The most powerful aspect of Universal Consciousness and energy is the Higgs field. The Higgs field is responsible for the evolutionary development of life in the universe. Life contains both science and divinity; because the two work together to maintain the eternal drive of the evolutionary development of consciousness. Consciousness operated somewhat differently thousands of years ago on planet Earth. Everything was in a much more natural state of affairs and the population wasn’t as big as it is today. It has been theorized that human beings could access the pineal gland and experience consciousness and energy on a different level than what people experience today. The reason is; Earth is a living organism with a consciousness and Earth is undergoing evolutionary development. This is what the Apocalypse is all about; is Earth itself experiencing a very dramatic change which will affect life here forever. With the increase in population, technology, electricity and a plethora of activity happening; this has produced more pressure in the environment and this affected the way the Higgs field operates on Earth. I cover more information on the Higgs field in my work about how this field interacts with human consciousness. It was also theorized that the pineal gland used to be bigger than what it is today in human beings. The pressure associated with Earth’s evolutionary development is the reason for the decrease in size in the pineal gland. What is happening with the shift in consciousness is the pressure that has accumulated through Earth’s evolutionary development over the years due to an increase in a mixture of light and dark energy; is the pressure is being released and the Higgs field will become much more concentrated. A primary indicator of this was the discovery of the Higgs boson by CERN. Higgs bosons are all over Earth but scientists are not aware of this fact. The Higgs field is incorporated into Earth and is attached to all living organisms here for the purpose of evolutionary development. The reason scientists aren’t aware of this fact is because of the pressure that the human body contains from the mixture and concentration of light and dark energy. The body contains both because everything in the universe evolves out of light and dark energy. Light energy consists of higher frequency vibrations and dark energy consists of lower frequency vibrations. When the two are combined with evolutionary development polarity occurs and pressure accumulates in a living organism. The human body repels the Higgs field in a very powerful way and this is why everything feel so empty and separated on Earth. In ancient times human beings were able to access the Higgs field and see more universal activity because the level of pressure contained within the Higgs field and the environment wasn’t as powerful. The Higgs field contains a very powerful combination of light and dark energy and the reason that this is possible is the Higgs field was introduced and evolved into Universal Consciousness and energy 13.8 billion years ago by a divine and scientific process. The Higgs field contains a combination of light and dark energy so matter can evolve out of the universe that contains both forms of energy. Light and dark energy also came together in the moment the universe was introduced and the Higgs field developed out of this moment as a field of consciousness and energy which sustains evolution. You have a reference point of consciousness and energy which symbolizes your true self. Your true self is the complete essence of who you are in a very powerful and divine way; it is the nature of the identity of your consciousness. The pineal gland has a very powerful concentration of this consciousness and energy. The universe has the same thing which is the Higgs field. When human beings in ancient times used hallucinogenic properties they were able to utilize this aspect of themselves and access the energy of the Higgs field allowing them to connect with Universal Consciousness in a very powerful way. This is where the term “third eye” came from originally. When living organisms on Earth experience death what happens is their consciousness and light and dark energy transfer out of the body and into the Higgs field. The pressure in the body is released very quickly and this is where the percentage of grams is lost. They transfer away from planet Earth very quickly and redevelop in an evolutionary process through the Higgs field and arrive into the Whirlpool galaxy which is the next stage of evolutionary development for life on Earth. The Higgs field is universal so life accelerates from Earth with the acceleration of the universe. The universe carry’s life to its next destination through an evolutionary process known as death here. Death is a process that is a very powerful evolution of consciousness; it is like being born again. Death was introduced when the universe was introduced. The moment the universe was introduced consciousness and energy experienced a change in evolutionary state. There was an aspect of consciousness and energy that became completely unaware of itself the moment the change happened right before the universe was introduced. Earth exists in time and space that is 13.51 billion years old. This region of the universe is almost as old as the introduction of the universe itself. This is why death is so powerful here on Earth. This aspect of universal evolution transferred into this region of time and space and into Earth when Earth evolved out of the universe here in the Milky Way galaxy. DMT is a chemical that was introduced into living organisms here to act as a chemical diversion when death is experienced. Death is an evolutionary change for living organisms and the transfer of consciousness and energy is extremely powerful. When a hallucinogenic property is administered to human consciousness what happens is they experience a change in reality. When DMT is released into the consciousness at the time of death it makes it a lot easier for consciousness and energy to experience the evolutionary change from the experience of death itself. It could be compared to someone receiving anesthesia while undergoing surgery so the consciousness can experience the process a lot easier. This is what DMT does during the process of death. DMT and the pineal gland are associated with the evolution of consciousness and energy. This is also why they are associated with death. Death is the evolution of consciousness and energy. What happens to life here is similar to what happened when the universe was introduced. The universe experienced formation during the design process and an evolutionary change through development which exemplifies life being experienced. Then everything came together with the design and the big bang happened. The universe as we know it was introduced and the change that the universe experienced during the moment the big bang happened is similar to death on Earth. This is why life and death happen so quickly on Earth. Life here is an extension of universal evolution. The universe and life consist of both a scientific and divine nature. The reason divinity is involved is because love exists. Love is more than just an emotional response between life on Earth. Love gives eternity a reason to exist. Love is actually scientific as well. Love is produced when light and dark energy evolve with consciousness; and I have explained how this process works in some of my previous work. DMT was introduced into consciousness here by a divine source to allow life to experience a level of comfort during the process of death. This is also why DMT is associated with divinity in the consciousness. There is a lot more going on here than people think and this information will be revealed through Earth’s evolutionary development. When Earth gets more powerful life will get more powerful here and consciousness and energy will evolve further. This change is emerging rapidly now and science will begin to understand divinity in a much more powerful way.